Today, being August 10th is the climax of the three Super Moons we have been experiencing this summer of 2014. This means we are at the height of our energies in both the lower and higher essence within our consciousness. It also is a time to dig deeper and find our powerful essence to be emerged within us. At 18:09 GMT time (10:09 AM Pacific, 1:09 PM Eastern) this moon fully came into our existence. You may have noticed it last evening but the power of this cycle cannot be denied. Exactly what does this mean for us? Astrologically, it represents the Moon in Aquarius with the Sun in Leo. We are in the battle of the Logical Mental Thoughts or Masculine Self with the Intuitive Emotional Feelings or Feminine Divine. It is a time to balance both of these essences within ourselves. It is important to create the balance of stagnation or going to fast. The Masculine of Leo wants full independence and like to be the leader of the team; the Feminine of Aquarius wants to be part of the team but able to show its independence in the greater whole. We all know that the Feminine Divine is our initiator of our progress and the Masculine Divine provides the idea. The essential component is to allow the integrations of the Male and Female Essence within us to be our guide in all matters. Since this is a Super Moon, the closest so far to the Earth, it represents the illuminating light upon each of us. The power of these energies is only a projection unto each of us to go deeper, learn more, and illuminate the essence that we desire to express in each moment of our existence. Understanding that there is true leadership within us to be expressed is an important component. We utilize this energy with the Ray of Will and Power. Learning to be a leader but part of a team is an essential component to accepting our role upon this earth. If this is a problem for you, then how do you go about recreating the process within you? This is done by understanding within yourself the components that make up both processes. Getting an internal sense of who you are and how you are going to project that quality within you to others is a very integral part of understanding the Self. We need the masculine and the feminine energies to work together cohesively in any situation, but most individuals do not understand their own composition of the soul’s essence along with how they project it to others. This moon is helping us to do just that for ourselves. The power of the energies through this week is going to push us in either direction of stagnation or pushing forward quickly. It is important for each of us to realize the potential that we have upon this planet to help GAIA make the necessary changes. Every thought and projection that we have goes out into the world around us and into the earth. So if this moon is pushing us to see within ourselves the imbalance of our masculine and feminine energies, it is because we need that assistance. Some of us don’t always like to look in the mirror of our inner truth so this is the time in which we will be asked to do so. The Beings of Light have talked about how powerful this summer has been for healing, changes, and inner growth. It is time for each of us to take advantage of what we are experiencing. The first element is to look within instead of looking outside of ourselves. Find what is not working within your mind and your heart to make the necessary changes. Sometimes we cannot see our inner truth, because we are searching for the bigger picture. On a personal note I had very deep realizations today of energies that I have been feeling for some time and was unsure why they were coming to me. I was shown the reality of what I have always known within myself with certain individuals previously. I sat and reflected on the experience of realizing all this time, “I know that the energies I have been receiving were true. I am now ready to make the right decision for my highest good in all ways of my existence.” I was not emotionally upset so I did not go into my emotional pain but yet I was given the internal truth of who I am and how I project that to the world. What others think of it is their choice. The true illumination was that I fully respect my decisions and feelings in balance of heart and mind. I am very content within myself of what I have fully realized. Sometimes it takes awhile for it all to filter in all areas of the psyche and full consciousness. It is a beautiful day of awakening. Instead of looking at this moon to create more conflict, work within yourself to find the balance of the mind and heart. Breathe deeply within yourself, activate your higher energies by asking for the healing light of your Higher Self to come fully within you. Allow it to settle into your Heart while asking your Masculine (right side) to blend with your Feminine (left side). Utilize the color of Blue for the Male and Pink for the Female. Spin them together in your heart and allow their essences to blend with both sides. Be the integrative self that this Super Moon is helping us to achieve. Walking Terra Christa is holding an open Tele-Call on Monday evening, at 4:30 pm. Details are available on http://walkingterrachrista.com/tele-calls/. It is our pleasure to be here with you as the Unified Whole Command with our energies of the Great Divine Director, Master Einstein, and Master Thoth at your service. It is quite an amazing time of acceleration once again. Sometimes you may think that the frequencies of Light are just a continual effort within Gaia and each of you, but this is not always so. There are waves of frequencies that are being brought forth from the planetary and Galactic Forces to create more elements of change within the planet. 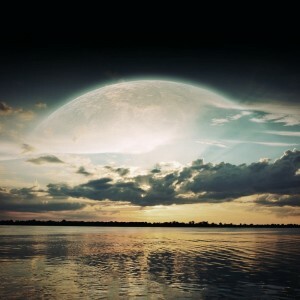 We want to share what exactly is occurring with the phenomenon of the Super Moons during this summer. 2014 is the year of Unity within the planet so there will be many activations that will occur to help the human race to look within themselves of what needs to be changed to create that essence in their lives. We want more individuals to wake up to their higher purpose; meaning, that they start to understand within themselves that there is more than their physical self and they can make the necessary changes but just connecting to their Higher Self. We know that we are still had a very slow rate of allowing this phenomenon to happen within the Earth, but let us look at it this way. During a Super Moon the alignment of the Earth – Moon – Sun all come together so that each represents one another in the process. Doesn’t this feel like Unity to you or Oneness? Now each of these systems represent their own individual essence but when they come into this movement together their essences allow for the frequency of light that they are together to be fully felt at an increased rate than being experienced alone. This allows for the alignment to be represented by a flow of energies into the Earth, also the Sun, and the Moon. All three become interactive within each other. On July 12th you had one such occurrence with the Full Moon. This means that the increased rate of vibratory energies coming into the planet are felt by all aspects in Unison. But before that time the New Moon that occurred on June 27th would help each particle of living organism, including the human race, to be prepared for the full acceleration. It might be helpful if you look back one month before and see what occurred for you whether it be physically, emotionally, or mentally. Each of you was being readied to experience the Super Moon in July. So it is here again as the New Moon of July 26th was a preparation for each individual to experience their lives differently than they did two weeks earlier. Each of these cycles is considered building blocks to your future existence. In order to go deeper within yourself you must acknowledge what you have experienced, what fits into that experience, and what needs to be removed. It is the cycle of rebirth and of life continuing on this planet. What is occurring with each of these cycles is more is coming into the planet to prepare every living element to experience life differently than they did in the previous cycle. It is when an individual does not understand what they are experiencing that it results in elements getting muddled into one thought process. You cannot understand the depth of your understanding for the confusion that is occurring within your life. So we say, stop and take a look at yourself during this time. The frequencies of light are coming in quicker and faster than anyone can truly acknowledge. It is taking each of you into a deeper part of yourself. If you can understand how you are feeling by stopping and breathing into the experience, then you will be able to continue the journey at a pace that is more concrete in your physical world. At this time, the preparation is to take inventory from the New Moon in July to fully embrace the new essence that you have experienced. Go deep within it through your breath, feel the new you truly to blend with the old you. As we move to this next cycle of the Full Moon on August 10th, you will be able to ascertain what fits your foundation and what needs to no longer be part of your existence. We know we make it sound very simple as we want each of you to believe in this process. The more that you struggle with everything you are experience, the deeper the pain will be within yourself. Allow the process of rebirth to continually be within you. These changes are bringing forth new elements within Gaia and each of you. There can be great movements of healing not only within the earth but for each of you. Are you ready to just be idle within yourself and let the energies take you over while the world is passing you by? We do not think so; we want more individuals to understand themselves on a much deeper level than they have before so that the end result is not leaving the planet. There will be many that will not step into their own personal role of transformation, but there are just as many that will on all levels of consciousness. As we move through these cycles of rebirth, the changes are going to assist the planet to be so much more than it has been before. It is helping to remove the old thought forms, energetic pockets of darkness that want to stop this process as the Earth is moving and changing. The 5th dimensional earth is still not actualized but it is being initiated through these processes. Eventually, then it will be in an active stage, but until that time, we are asking each of you to go deeper within yourself as the more that you accept and expand, the more the Earth will receive it. GAIA is holding back her essence so that there can be a percentage of individuals that will be able to access the New Earth. This process is much longer than originally thought. Each human on this planet must reflect within themselves and make the necessary changes. There will be many that will not be able to do so. This means that deaths will continue to rise and dramatic events around the world will still be occurring. But all of these are at a lower percentage point than they were previously occurring. This does not represent a huge decrease, but it is occurring. These activations that each of you will be receiving are beyond what you can understand. Preparedness is the key to balancing all aspects within your Being. Not doing enough inner work will be a huge mountain to climb into each of the Super Moon energies. The energies will be very intense but it depends on each person and how deep they are willing to delve into their own reality within themselves. Awakening of the Self is a huge process. Every individual has the ability to step into their own mastery but it must not come from the physical self. It must be achieved through the psychological self and until these elements are healed than we will still have great darkness upon this planet. Working with your Higher Self will assist but the depth of the work must be done within the physical essence. This is why the Coaching element is important and it is helping the planet. But it does not stop there. Then each individual must access within themselves that power that they are from the Highest Perspective. That is just the raw beginning. So at this time, the Summer of the Super Moon is a gift to this planet and to each of you. Take full advantage of this process. Accept your Divine Right to know who you are and when you don’t make the necessary changes. Each of these cycles will assist you greatly, and we can start to achieve more Unity within the planet. Are you ready to step forward and look at your own mirrors? Let them crack and what you will see is a powerful essence blending within you that is beyond your wildest imagination. The effect of these cycles will take us into the Fall Equinox which will prove to be another powerful surge of acceleration for each of you. The manifestation of your light can be expanded within on a much deeper level. Please take the best advantage to these energies as each of us are standing by to assist you and walk with you into the New Earth. This summer has been probably the highest frequency of light within the planet ever. The healing that is taking place in all of us is taking us to new heights of our soul’s essence within the physical body. We are learning so much about ourselves through each initiation and activation that is occurring for GAIA. The New Moon of July 26th 2014 prompted me to go deeper into understanding more about what we are experiencing not only as an entire planet but each of us individually. The power of this new moon was bringing forth waves of energetic exchange through my awareness. Researching about this new moon brought me to the understanding that it represented a deep inner healing process that would bring about compassion. I read further (http://darkstarastrology.com/) and saw that it was reactivating the energies we experienced in April 2014 of the Cardinal Grand Cross. This represents the pathway of being a pioneer, and conquering great changes, and would act as catalyst for immense changes within our planet. I always like to look at the grand scheme and apply it on an individual basis. This New Moon was creating waves and waves of energy to come into each of our Beings so that we would create the changes that are necessary for our growth and potential for a better way of existence. Those that are sensitive probably felt it within their full consciousness and had trouble grounding themselves with waves of energy flowing through them. I find that one of the best tools is to become grounded with the Earth like doing exercise, or walking, getting into water while allowing the energy to flow through the full body system down through the feet into GAIA’s core existence. By creating these energies through us we are helping others in the planet to also feel it and be grounded within them-selves. We experienced a Super Moon during the full moon activation in July. We are also moving forward to experience two more Super Moons in August and September. The activation with the New Moon of July takes this energy from the 1st Super Moon in July to extend into August and September. As the energies increase, it will create great changes for each individual that allows this essence to move through them. We learn to be the catalyst of change within our own destiny. Through our teachings at Walking Terra Christa the lessons we have been receiving from the Spiritual Hierarchy has been telling us that the energies this summer cannot be compared to anything we have ever experienced. It is being likened to the energies of December 2012, bringing forth a new acceleration within each of us and the planet. Understanding the transitions of these three months helps each of us grasp what we are going through with our own healing and transformation of the physical self into a higher being of awareness. My intuitive self tells me that we are in for quite a ride through the next two cycles of the moon. The momentum is going to be quickened with each moon that we experience so it is important to take time to understand what you are going through emotionally and mentally. Take time to reflect within yourself during each cycle of what is occurring so that you can utilize the energies to assist you through the process. Remove the garbage within the mind that can hold us back from our true potential. Take advantage of the summer energies to be more to yourself and you will move through the cycles at a much easier level than not connecting within. Take time for your meditations, reflect on what needs to change, journal your thoughts, and make positive affirmations to make the changes. Then utilize your Higher Self to bring in your Light Quotient at a higher level, utilizing the Rays of God for assistance. The Pink Flame works well for adoration and love, the Blue Flame for finding your Inner Power, the Crystalline Flame for creating Harmony and Balance. Think of the color and just allow the essence to come to you from the God Source by breathing in its essence from your Soul Star in through your Earth Star. Be the color that you want to create. Then take time to ground it within you by doing your grounding meditation. Bring those essences through you and into the Earth by expanding it around you. This will help ground in the elements you want to create. The New Moon represents new creation while the Full Moon represents removing elements that need to be purged in order for the new to be created. 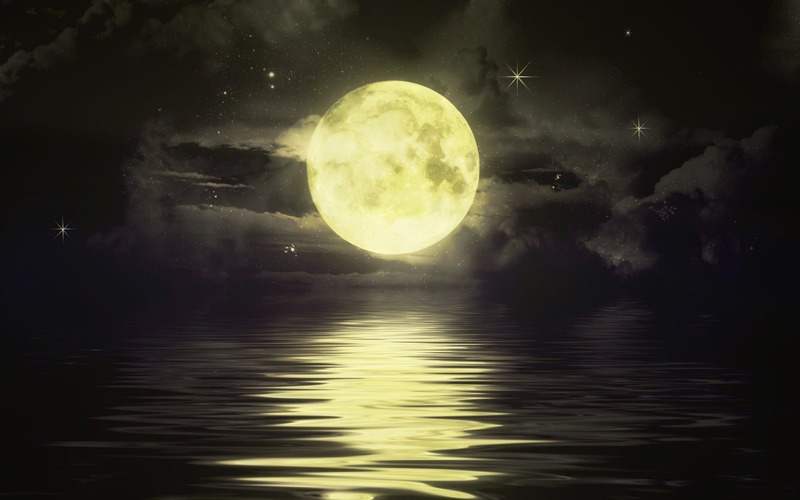 Each of the New and Full Moon cycles co-exist within each other as the frequency lasts for a two-week period. It helps to work within their essence to create a balanced energetic exchange. These energies are truly going to assist us as we move into the Harvest Moon to create our Divine Abundance to become manifest more fully. Take time to be the way-shower that you are and become all that you desire to achieve. 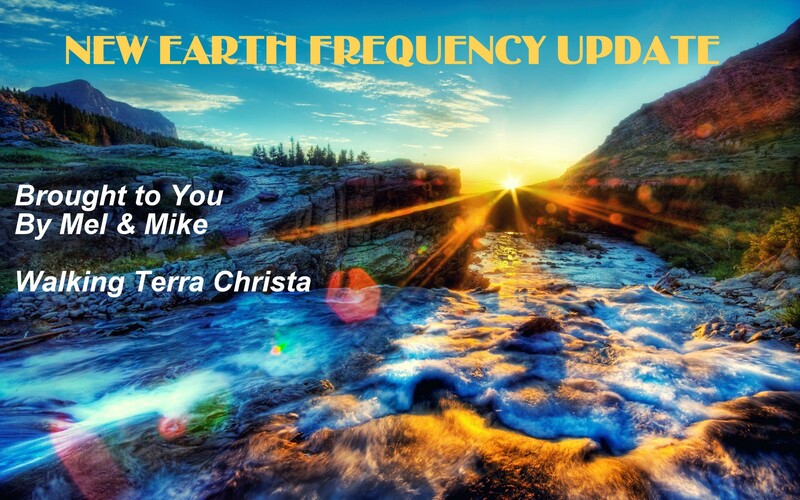 Our New Earth Frequency Update, The Super Moons of Acceleration, (channeled message from the Unified Whole Command) will share more of what we can expect to experience through these cycles.